Do You feel that you almost succeeded every time you fail? I spent this past weekend in San Blas, Panama living in the definition of paradise. “Once there was a Chinese farmer who worked his poor farm together with his son and their horse. When the horse returned, followed by a herd of wild horses, the neighbors gathered around and exclaimed, “What good luck for you!”. While trying to tame one of wild horses, the farmer’s son fell, and broke his leg. He had to rest up and couldn’t help with the farm chores. “How sad for you,” the neighbors cried. “Maybe yes, maybe no,” said the farmer. Shortly thereafter, a neighboring army threatened the farmer’s village. All the young men in the village were drafted to fight the invaders. Many died. But the farmer’s son had been left out of the fighting because of his broken leg. “Maybe yes, maybe no,” was all the farmer said. One month ago I was trying to figure out how I was going to swing a trip to Cuba. As an American, this is not cheap. My thirty day visa would be at least $50, my flight there at least $300 and my flight out another $300. But I really wanted to go. One of my very good friends was going to be there for the beginning of my trip and it was the perfect time to explore this beautiful country. When I realized that there was no way I would be able to make this happen, I was frustrated. I wished that I had the money to go on such an epic trip and was quite annoyed that I couldn’t make it happen. I felt like I was failing at making my dreams of being able to travel wherever, whenever happen. 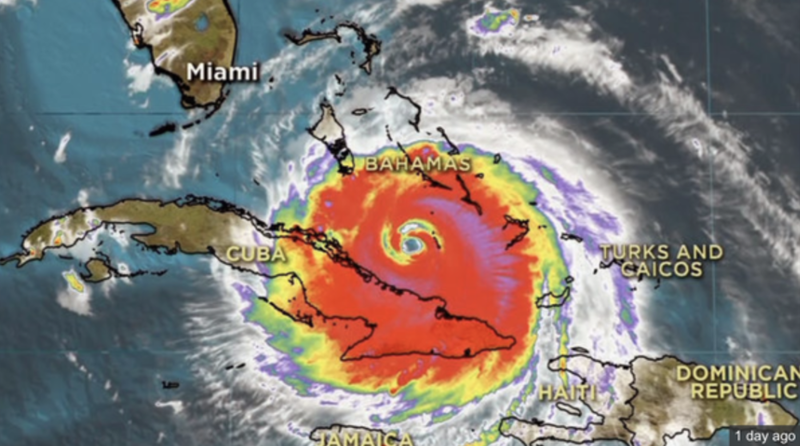 This past weekend, Hurricane Irma traveled directly over Cuba. To donate to the victims of Hurricane Irma, you can click here to be directed to RedCross.org. My friend left Cuba a week ago, but chances are I would have stayed for longer and had been there during this catastrophic storm. Instead of going to Cuba, I booked a much cheaper ticket to San Jose, Costa Rica and backpacked my way to San Blas, Panama (where the first picture was taken). I spent my weekend bouncing between the tiny palm tree filled, white sand beaches of San Blas. I woke up every morning to the sound of somebody summoning me for breakfast by using a shell as a trumpet. I snorkeled with star fish the size of my torso. My hut was surrounded by palm trees, the sand littered with coconuts and the Caribbean Sea ten steps from my bed. As I felt like I was failing my dreams of being able to travel wherever I wanted and “settled” for the cheaper option, I was being placed in the best location for me to be at that time. I consider failure as a push in the right direction. I know that I succeed every time I fail, it’s just a matter of waiting to find out how. Just as the farmer in the famous Chinese parable I quoted above, it’s important that we don’t get caught up in thinking our failures are actually failures. Failures have the same effect as successes. They put you closer to your end goal, whether you choose to cloak it as a success or failure. I disagree with saying I almost succeeded every time that I failed. I always succeed every time that I fail. And that is an absolute relief. Read: What Guarantees Success In Life? Older PostWhat Guarantees Success In Life?